In the photo above you can see an Eurasian coot, I shot the photo near a pond when I walked through the parks. 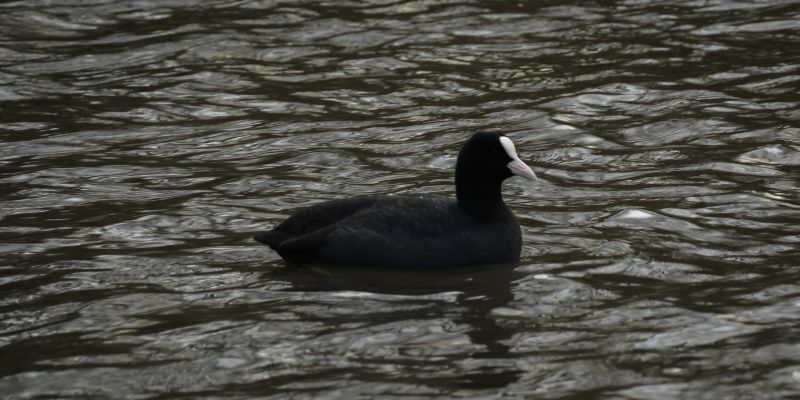 I believe it’s the first time that I took a photo of an Eurasian coot, or the first time I uploaded one to my blog. It’s good to have some other bird photos uploaded to the blog, although it’s sad that we don’t have so much colourful birds in Germany, our birds are rather common and not so paradisiacal, but still beautiful I think. We have them in a local park and just about on every waterway. Seem to treat them as, well, common, and don’t often photograph them. But, as you show here its all about individual character and that is worth the second look. Super. True, it’s easy to spot them here too… the first birds you find are ducks and coots. I saw a sign that we have sea eagles here, I hope that I will see one some day close to me. But common birds are still a great help for me, I can study the results and the metadata, or I can try out manual settings with my camera to see the differences, because I have more time with common birds to try out things. In this case here for example I noticed that the water is not lit well, the water is dark and the bird too, so, these are the take-aways that teach me if it’s worth to take this photo next time or not.